Founding attorney Roger M. Yale earned a B.S. degree in business administration and accounting before beginning a multifaceted career in business and real estate. In 1994, he earned his J.D. from Texas Wesleyan University Law School and entered private practice. His primary areas of focus are family law, civil litigation and probate and estate law. Attorney Brittany Weaver focuses on Family Law, Estate Planning and Probate. Jennifer Yates focuses primarily on family law, estate planning/probate, and civil litigation. They are an enthusiastic and creative advocate for their clients. Our team also includes paralegal Brandi Greathouse. 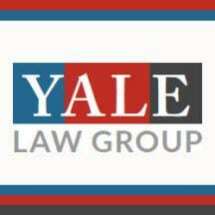 To schedule a consultation with any one of the lawyers at Yale Law Group, simply call our Denton office today.